The Global 3D Cell Culture Market Size was estimated at USD 673.6 Million in 2017 and is anticipated to gain significant traction over coming years. 3D cell culture is a precisely replicated environment separate from a living organism, wherein cells are endorsed to migrate as well as grow by interrelating within their environment. 3D cell culture cultivates stages of tissue organization and cell differentiation which is not sustainable in conventional 2D cell culture systems. 3D cell culture has more tissue deviation and cell structure properties. 3D cell structures are gaining acceptance and have displayed augmented applications majorly in the early drug discovery and other research and development sector. This method is used by investigators to construct physiologically comparable cell culture stereotypes that support drug discovery and development. Persistent need to refine efficiency in pharmaceutical research and development is also encouraging the use of 3D cell cultures. Growing investment by biotechnology as well as pharmaceutical corporations on 3D cell culture and growth in a number of patients in need for organ replacement are the key aspects enhancing the significant growth of the global 3D CC market. Moreover, the prohibition on the animal study and testing is also antic to drive the market across various applications. However, high initial investments may restrain the growth of the market. Additionally, expansion of 3D cell culture for conveying personalized cosmetics would deliver development opportunities for the global market during the forecast period. The global 3D Cell Culture Market Share is segmented on the basis of products type, applications, end users, and geography. On the basis of product type, the global market share is segmented into Scaffold-based platforms, Bioreactors, Gels, Microchips, and Services. The scaffold based platforms are further categorized into Macro-Porous scaffolds, Microporous scaffolds, Nanoporous scaffolds, Scaffold free platforms, and Solid scaffolds. Scaffold-based cultures estimated to share the highest market in 2017. Availability of a substantial number of products based on the structure maintained 3D cell culture is attributive for the estimated share of this segment. Based on the applications the global market is segmented into Drug Discovery, Stem cell research, Cancer research, and regenerative medicine. In 2017, Application in cancer research estimated to form the largest demand for 3D cell cultures market. On the basis of end users, the global 3D CC market is segmented into Academic Institutes, Biotechnology & Pharmaceutical Companies, and Contract Research Laboratories. Biotechnology & pharmaceutical sectors dominated the market in 2017, as a significance of the developed application of technology in the drug discovery procedures in order to carry out well-organized screening and board validation. In terms of geography, North America is estimated to dominate the global 3D Cell Culture Market. The dominance of this region is attributed to the existence of a number of pharmaceutical and biotechnology organizations executing the technology in association with research laboratories. However, Asia Pacific is anticipated to dominate the global 3D cell culture market. The rapidly evolving economic status and rising demand for the R&D projects are the major factors anticipated to enhance the growth of the market in this region. Furthermore, availability of intact areas which captivate major players functioning outside the region is expected to enhance the market in the Asia Pacific. Major firms are focusing on small firms with a working methodology of securing the end goal to manage position in the market and are associated with mergers and acquisitions, key joint efforts, and novel item advancement to pick up profit share in the business. 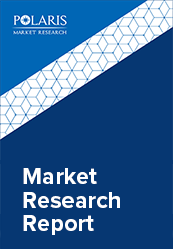 Some major key players in global 3D Cell Culture Market includes 3D Biotek, Advanced Biomatrix, Becton and Dickinson Company (BD), corning Incorporated, Global cell solutions Inc., Thermo Fisher scientific Inc., VWR Corporation, Nanofiber solutions, Lonza Group Ltd., Synthecon incorporated, and Tecan Trading AG among others.